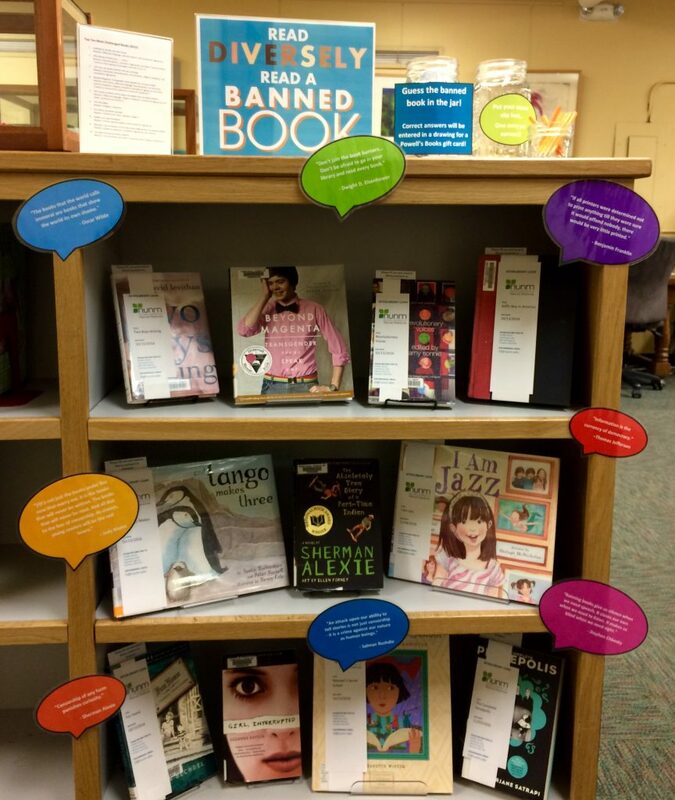 Every year, libraries across the country celebrate Banned Books Week, and we wanted to join! This year’s theme is DIVERSITY! Authors of color receive the majority of book challenges every year, which further silences their voices in other mainstream media. We hope to bring their words and voices to the forefront. The library has a small selection of books on display that have been challenged for various reasons: LGBTQIA issues, people of color, gender diversity, people with disabilities, and ethnic, cultural and religious minorities. 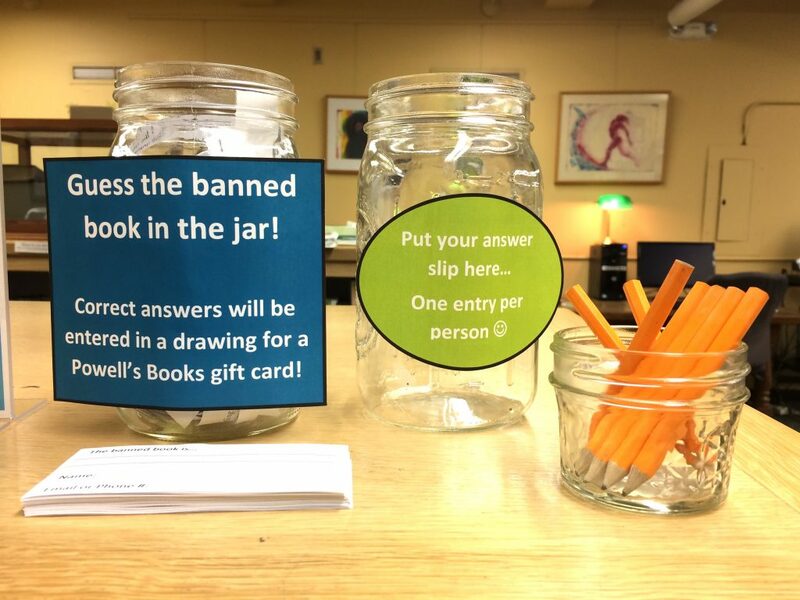 While you are checking out our display, you can also play our Guess the Banned Book in the Jar game! A frequently challenged and banned book has been put through the shredder…Oh no! Can you guess which one it is? Enter your answer for a chance to win a gift card from Powell’s Books. One winner will be picked from all of the correct answers on Monday, October 3, 2016.